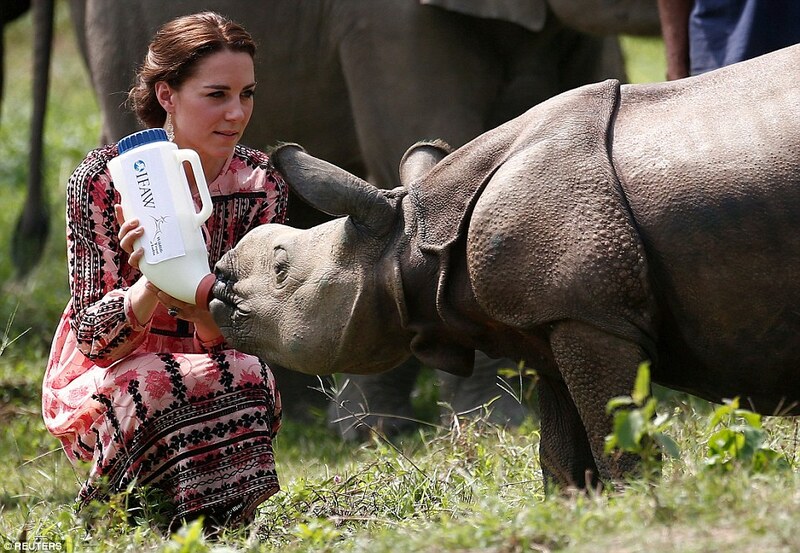 Kate Middeton couldn't contain her joy at an animal sanctuary in India, where she fed an adorable elephant calf and baby rhino. 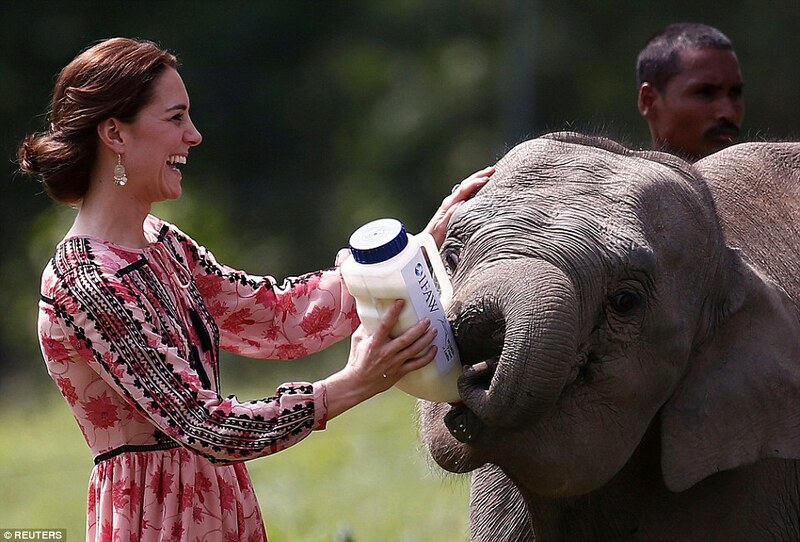 The Duchess of Cambridge was all smiles, as she played parent to vulnerable animals, brought back to health after being orphaned or injured in the wild. 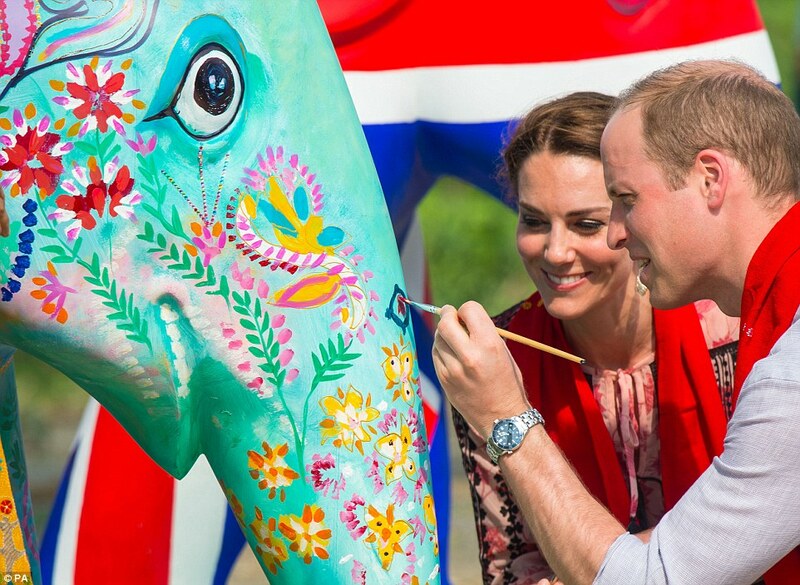 Dressed in a gorgeous Topshop printed dressed, Kate was obviously glowing around the animals, but admitted she 'terribly missed' her children Prince George and Princess Charlotte. 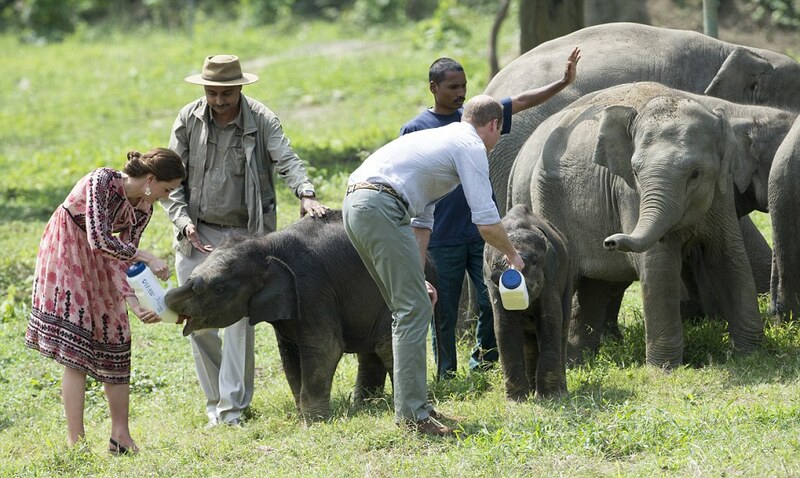 Using a special bottle of formula or milk, the Duke & Duchess fed the baby rhinos and elephant calves at the Centre for Wildlife Rehabilitation and Conservation at Panbari Resort in Kaziranga. Kate looked beautiful in her smock dress, a bohemian inspired design with a tassel detail on the neckline, a pink floral print and Indian inspired embroidery. Paired with her style were simple wedges, and she had her hair up in a neat low bun, and opted for minimal makeup on her day outdoors. 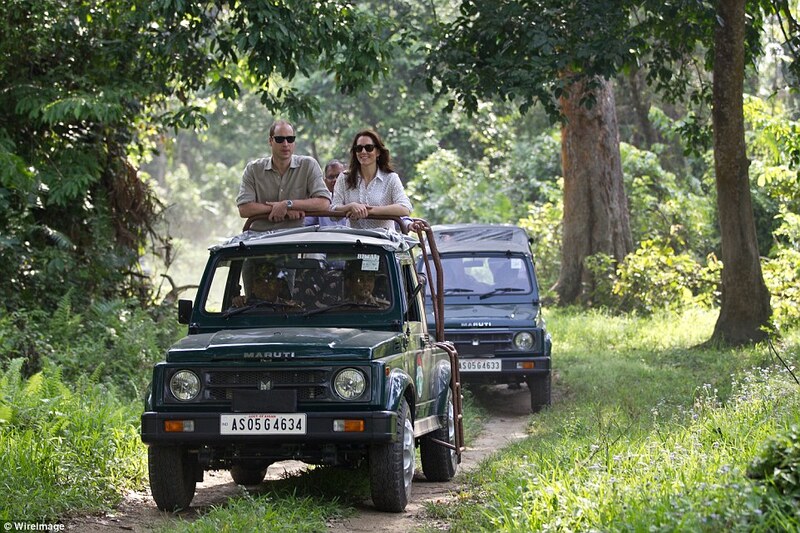 The royal couple also met with traditional village dancers of Pan Bari, and learnt about the local rural life. 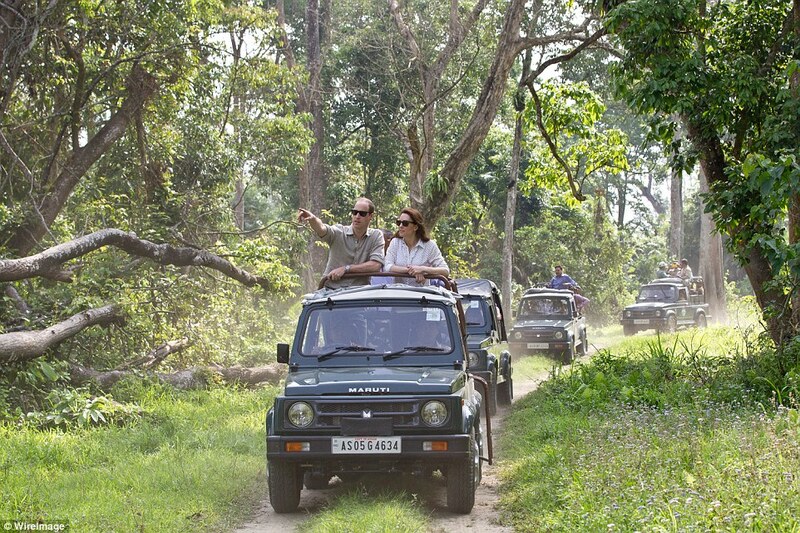 Earlier, the Prince William and his commoner wife Kate Middleton, had started off their day with an early morning safari, hoping to encounter wild animals. 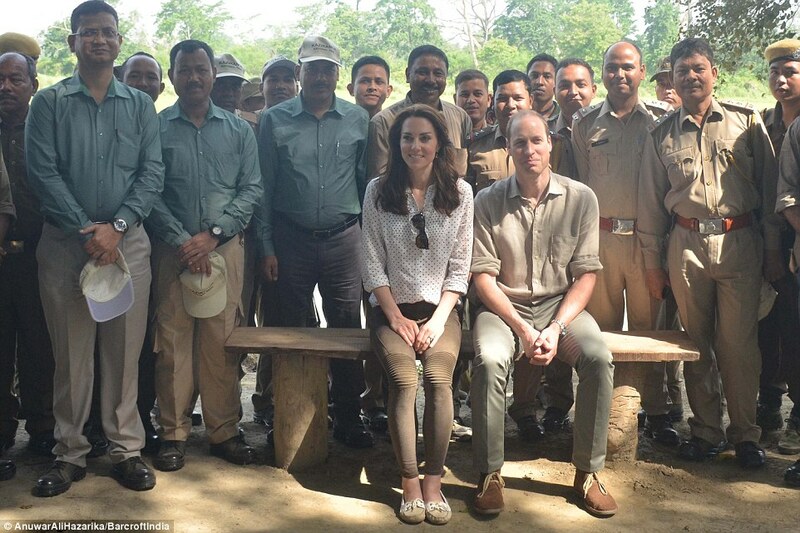 While William was dress in chinos and a light shirt, Kate was dressed in casual skin-fit Zara trousers, a spotted RM Williams shirt, Sebago boat shoes.